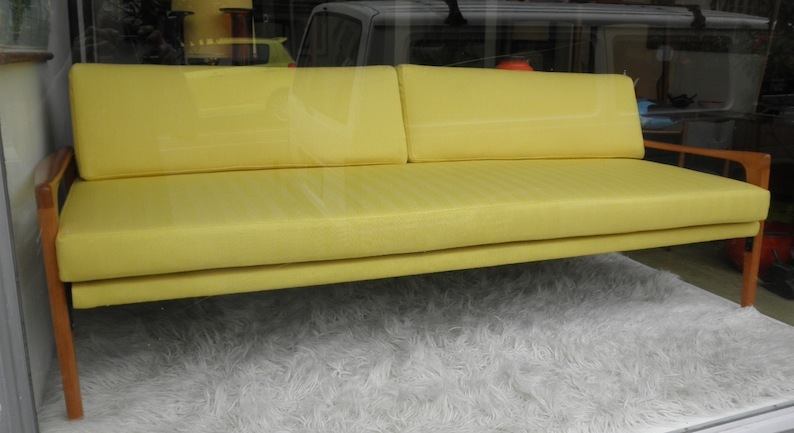 This is a fantastic original D70 / D71 “Norsk Divan” daybed designed by Fred Lowen for his FLER company c. 1960. The steel frame and springs are in amazing condition and the kauri arms have their original cellulose lacquer in tact. 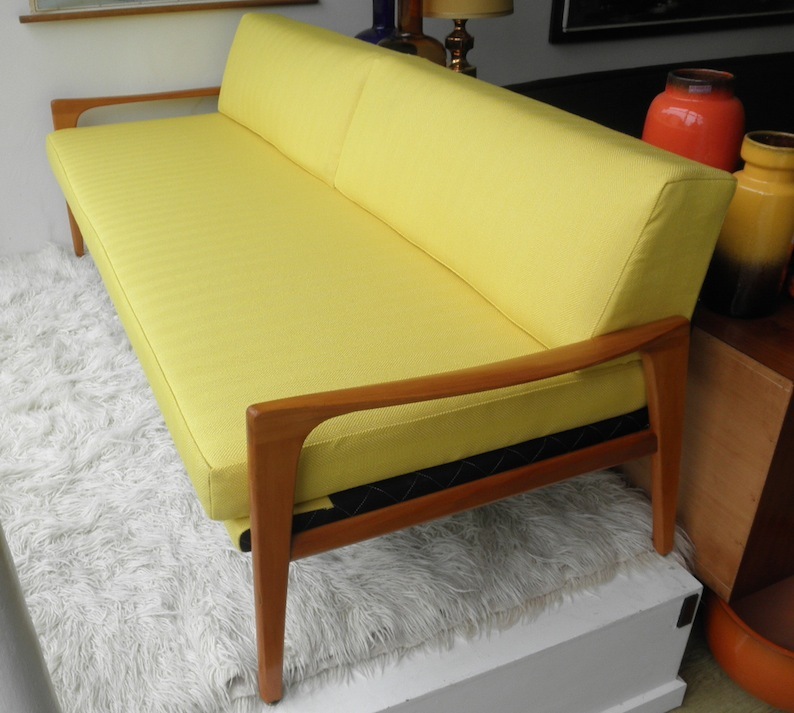 We have had the mattress replaced with high density foam and the original sprung back cushions refurbished while the whole piece was reupholstered in a brilliant buttercup yellow quality Danish fabric. 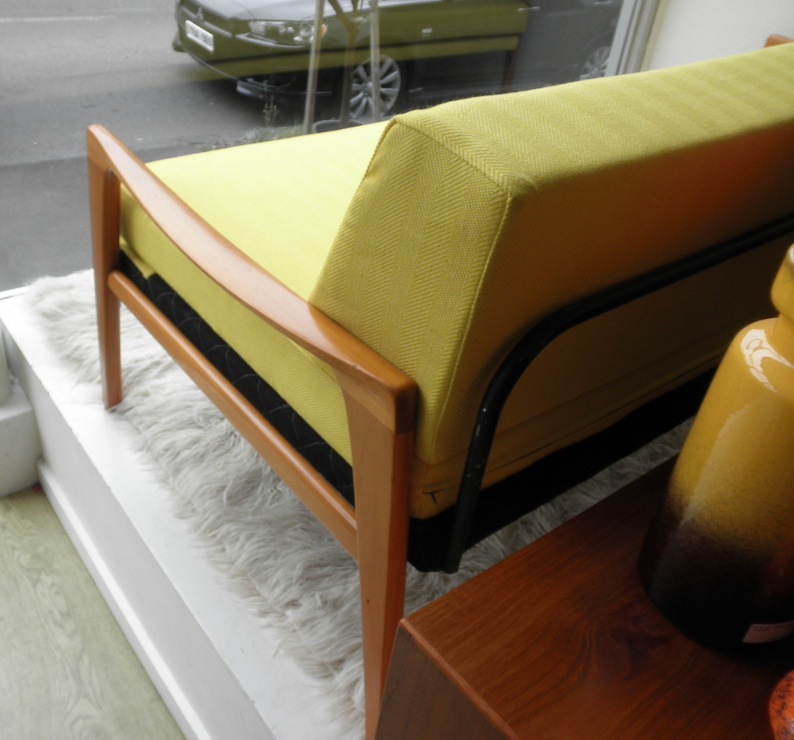 This divan is a really practical spare bed or just a stunning piece of mid century lounge furniture that is made to be really robust. These have a great lowline shape and are in demand because they are so practical and comfortable while they have last for ever quality construction. The back cushions lift off the couch to form a bed which sit against a metal back support when in use as a couch.